Can someone please either constantly post a link on Reddit to this Forum or @AnkerOfficial can you get a dedicated rep for it, this is get ridiculous. Yeah, your picture isn’t working. However this community is way better than the anker subreddit and someone should be listening a link all the time. I checked r/anker an didnt see anything amiss. Exactly, I checked also and didn't see anything amiss. It may have not been allowed or it didn’t upload. Basically it was several ridiculous questions. I tried helping and they just argue. So I eventually send a link to this forum. Remember not to feed them. Or look them in the eye. No they are really asking. Check the sub! The questions are ridiculous. And no comments aka no one helping them. 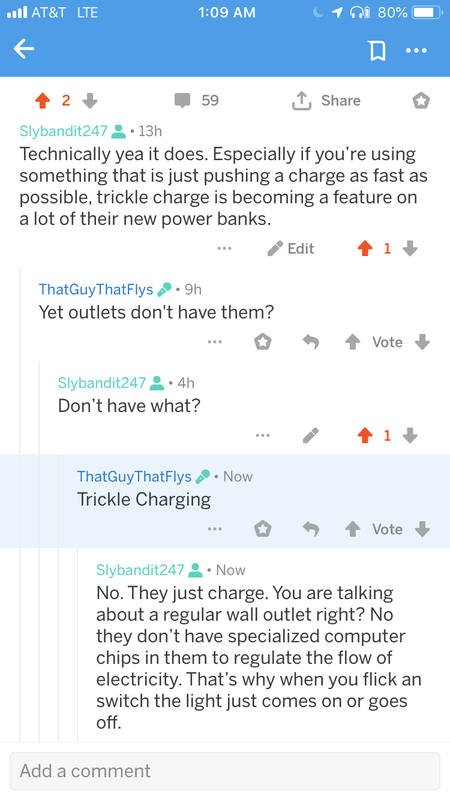 Like this guy asking if wall outlets have trickle charge or why trickle charge is even a feature. I gave up. Go ahead and burn out your lithium ion batteries in all your expensive devices then, I tried.